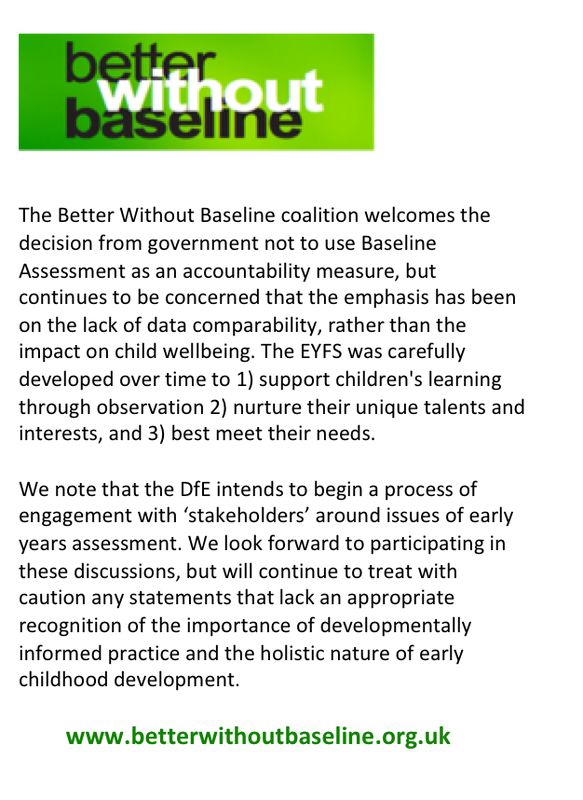 We are an alliance of early years organisations and teaching unions that came together in 2015 to oppose the introduction of Baseline Assessment. Despite almost universal expert opposition to the idea, and against the recommendations of parliamentary consultation, the government continues to support the idea. We believe that this was both a dangerous and undemocratic situation and that it betrayed a woeful lack of governmental concern about the best interests of the child. Although in 2016 government decided against proceeding into a second year of its baseline assessment pilot on the grounds that the schemes chosen were not comparable, they had not accepted that the idea was wrong in principle. ​In March 2017, another consultation on primary assessment was issued, once again proposing the introduction of baseline assessment in reception. 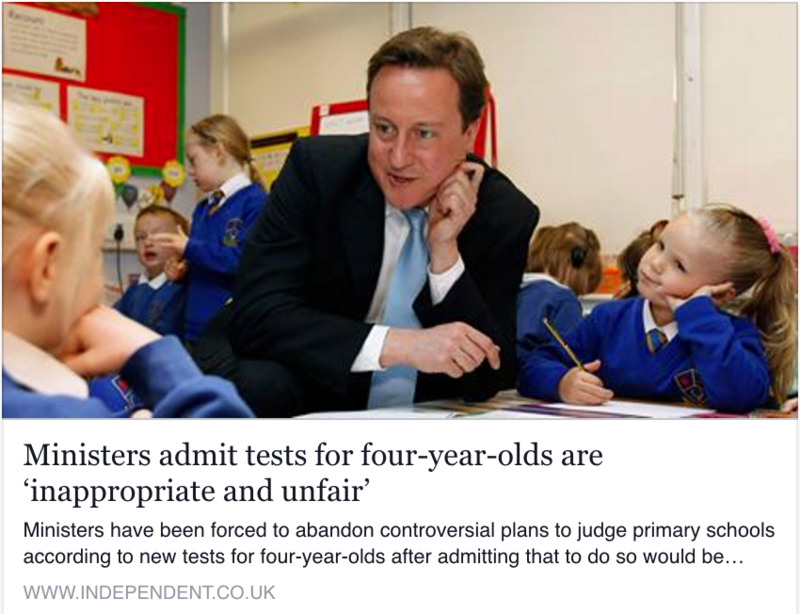 In September 2017, government announced plans for another attempt at introducing a baseline assessment at the start of Reception. See our news page for the latest update on our campaign. See our news page for a selection of responses to the Primary Assessment Consultation from the campaign and our members. Today the Department of Education has released a consultation on its latest proposals for Primary Assessment, including another attempt to reintroduce a “baseline assessment” in the Reception Year. Read our latest press release here. Who is against the introduction?